After a long and successful award-winning career in commercials and features, The Oil Fund is Harald's first TV-Show which he co-wrote with Tom, Petter and Maren. Harald is producing the show with his own production company, Zwart Arbeid which is run by his wife and producer, Veslemoey Ruud Zwart, in collaboration with Producer Espen Horn and Motion Blur. Tom Gulbrandsen has a degree in film production from San Diego State University and a Masters degree focusing on Narratology in the audio-visual arts from the University of Oslo. Tom's career in the film and television industry has allowed him to work both in production and script consulting. For several years he held a commissioner post funding script-development and projects for the Norwegian Government. Petter began working with Harald Zwart shortly after graduating as Valedictorian with a BFA in Film from LIU. 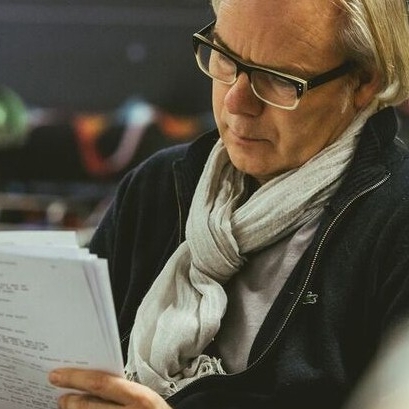 He has served as Harald's casting director, 2nd unit director and director’s assistant. His films include The 12th Man and Amundsen. Petter is also a Commercial Director himself and won gold at the Epica Awards in 2016. Petter's short film Quiet on set has achieved success in film festivals and was sold to several international TV broadcasters and airline companies. Alonside writing, Petter has also directed several episodes of The Oil Fund. Maren is currently finishing her bachelor degree in screenwriting at the Norwegian Film School. Her previous work includes the Norwegian Broadcaster (NRK Super) series Rot., as well as several music videos for the Norwegian Grammy award-winning artist Moddi.